It seems Macau might not be on the death watch just quite yet, at least as far as big ticket poker tournaments. An impressive 73 players put up HK$2,000,000 (US$260,000) to play in the Macau High Stakes Challenge at the StarWorld Hotel & Casino. 21 of those players event decided to take advantage of the re-entry option after busting out. The field was full of rockstars like Erik Seidel, Joe Hachem, Tom Dwan, and Gus Hansen with a final table featuring Phil Ivey, John Juanda, and Sam Trickett. 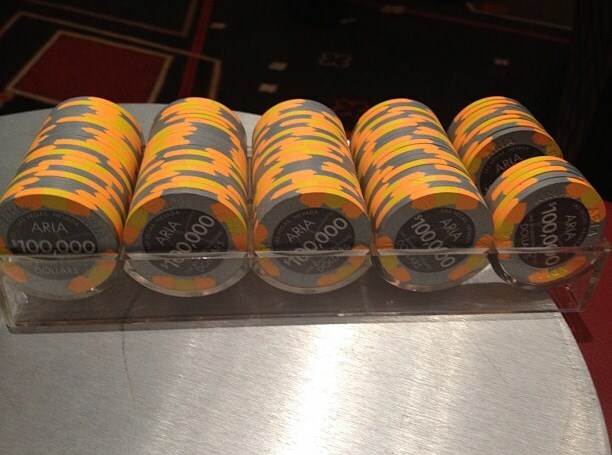 From all reports, the structure for this huge buy-in event played out much like a micro-grinding tournament. Plenty of action and it didn’t take long to find a winner. Not much is published about the victor, Stanley Choi, but we do know he picked up HK$50,149,000 (US$6,465,746) and has his first entry in The Hendon Mob database. Tweet of the Day – Is Matt Glantz skirting the policies of PokerStars and the ol’ United States of America by sneaking in the WCOOP via internet trickery? According to my double-blind, super-secret contacts within the Stars world, this was just a badly played Twitter joke. Perhaps the poker world should convene a Standards & Conduct Meeting to investigate. Judge rules that poker is a game of skill. 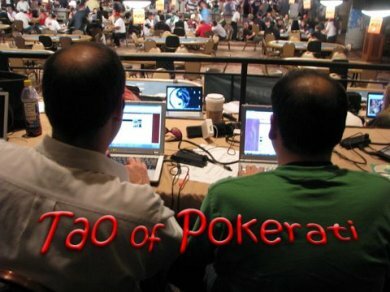 Poker pro says: Duh – Another article about the recent ruling about poker as a game of skill, this time it’s a fine op/ed piece in the Washington Post by Matt Matros. One of the smartest guys in the game. Viktor Blom: The Man, The Myth, The Legend – It’s rare that you will see one top player write/comment in depth about another top player, but that’s exactly what Phil Galfond did on his site when talking about the mythical “Isildur1”. Filing As a Professional Poker Player/Gambler – If you want some top tips for filling your taxes, why not get the information from a poker playing tax attorney. That’s exactly what Jamie Kerstetter supplied for the folks at CardsChat. MICHAEL PHELPS CRUSHES Vegas Wins $100K in Poker – There’s nothing I love more than senseless capitalization or crazy punctuation, this article comes from Mensa minds of TMZ. But it’s Michael Phelps, poker, and Las Vegas so worth noting. WinStar River Poker Series: Oklahoma Pop Quiz – Maria Ho, enough said. Money money money. It makes the world go round. Without it there would be no trees or air, all pigs would immediately expire, and tomatoes would turn blue. I think that’s right. Anyway, if you’re a fan of money, keep your eyes glued to this webpage because there’s a lot it floating about. Phew, that was a big one. I’m going to lie down until next week. Isildur1 Playing the Pokerati Game? As much as we’d love to be at the Hotel Club Casino Loutraki right now (site of the Greek Poker Cup 2, beginning today) PokerStars, as a place of virtual felts, has kinda dropped off Pokerati’s radar the way PartyPoker did back in ’06. However, one thing catching my attention — not because of the results, but simply because they’re playing the game — Isildur1’s high-stakes No-Limit Hold’em/Pot-Limit Omaha Mix. (Hey, I know that game … we play it at the Palms! “High-stakes action for low-stakes players” is the buzzphrase I like to throw around.) Pretty sure because it’s heads up they don’t have an “ultimate button straddle” the way we do at the Palms … and I’m not sure if they can run-it-twice … as the nature of the match suggests they’re not necessarily interested in reducing variance. But still, sounds like Isildur1 is playing it pretty close to the right way. Team PokerStars Pro Viktor ‘Isildur1’ Blom enjoyed another SuperStar Showdown win on Sunday, when he defeated Norwegian player Terje ‘Terken89’ Augdal. The match, which was a mix of No Limit Hold’em and Pot Limit Omaha, was over in slightly more than 1,500 of the scheduled 2,500 hands, as Blom blew his opponent away to rake in Augdal’s entire $150,000 Showdown bankroll. Despite losing $10,000 in the opening hand, Blom quickly got on top and showed his dominance throughout, his win taking his total SuperStar Showdown profit to $651,941. It also means he now has an impressive 9-2 winning record (7-2 versus high stakes opponents) in the SuperStar Showdown matches. 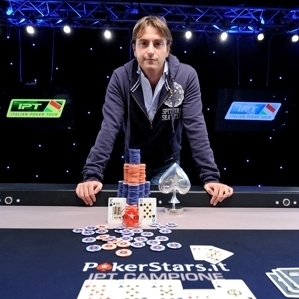 For a full report, including replays of some of the key hands, check out the [report of the match at PokerStars Blog]. The guys from The Poker Edge are back this week with Daniel Negreanu in tow. First on topic is Erik Seidel’s recent run to the top of the all time money list and how the super high roller events are altering how he looks at the list. The discussion shortly turns to the SuperStar Showdown where Negreanu discusses his game plan against Isildur1. Negreanu also discusses the recent notNAPT event that was held at the Bike and PokerStars moving into poker regulation. You can listen to the entire podcast on ESPN.com, or download it directly via iTunes. Are you looking for on the road radio with stops at most of the major tournament stops then you should be listening to Poker Road Radio. These guys have been at the WPT Bay 101 Shooting Star tournament the past week and have had guest such as Dwyte Pilgrim, The Royal Flush Girls, and final table player Mike Sexton. The highlight of the week was the show from March 15th where Joe Sebok discusses the recent Friedman/Haxton issues that have come to the forefront on Cerus network. 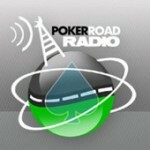 Check out the show on the Poker Road Radio site or subscribe via iTunes. This show speaks for itself, Jessica Welman and BJ Nemeth from the award winning The Poker Beat join forces at all the US World Poker Tour events to record the Jess and BJ show. If you do not watch these shows you definitely should. Is it wrong to care more about the results of this matchup than Daniel Negreanu vs. Isildur1? Today, January 30th @5:30 ET Viktor “Isildur1” Blom will take on Daniel “w00ki3z” Cates in the third installment of the SuperStar Showdown. Cates is better known by his Full Tilt Poker name of Jungleman12 where he came on, and dominated, the high stakes cash scene last year. 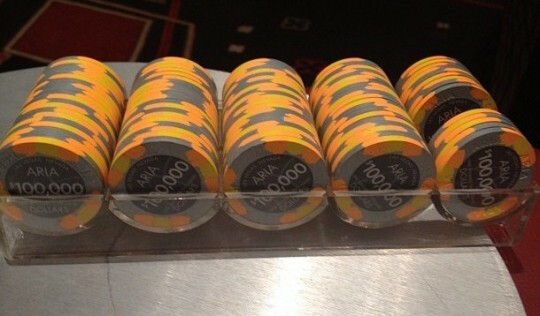 Follow @merchdawg on Twitter for updates throughout the 2,500 hand match. Lots of talk this week about the Annie/Phil UB departure in the podcast world. Here is the best of the best for your downloading pleasure. The guys from 2+2 open up their 6th year of their 154th episode. Tony G joins the crew to discuss his recent SuperStar Show down match against isildur1. Other topics on with Tony G were his attempt at purchasing Peter Eastgateâ€™s WSOP Main Event bracelet and the amount of trash talking that he does on the tables. After the Tony G interview the recent UB shakeup became the focus of discussion. The potential sellout of Prahlad Friedman occupied the majority of discussion as they discussed the reason why he would join the site the essentially ruined his career. Listen to the show at the Two Plus Two Pokercast site or download it on iTunes. The Phil and Annie departure is the only topic on task this week on the show. Joe Seebok comes on to discuss what the recent departures mean for UB and how the new UB team is going to look. Prahlad Friedman is also discussed along with whether someone like Daniel Negreanu should be publically calling Prahlad out for selling out. You can listen weekly on Sirius Satellite Radio channel 98 every Wednesday from 8-9pm ET or you can download it via iTunes. This weekâ€™s show gets kicked off with an unplanned interview from Annie Duke where she attempts to clear up some of the speculation surrounding her recent departure from UB and what her plans are for her future. WSOP bracelet winner Linda Johnson follows Annie Duke to the show to discuss changes in tournaments since she first came onto the poker scene and what the TDA can do about the influx of deep stack tournaments. If you want to listen to the entire show or catch up on previous show you can either visit The Final Table site or check it out on iTunes. Day 2 of the 10,000 + 350 WSOPE Main Event came to a close with 66 players remaining, and Viktor Blom, rumored to be online legend Isildur1 the leader with 443,200 in chips. Other notables returning: Phil Ivey – 289,300, Victory Poker CEO Day Fleyshman – 269,000, Yevgeniy Timoshenko – 222,900, Barry Greenstein – 175,300, Roland de Wolfe – 166,200 and Daniel Negreanu – 142,800. 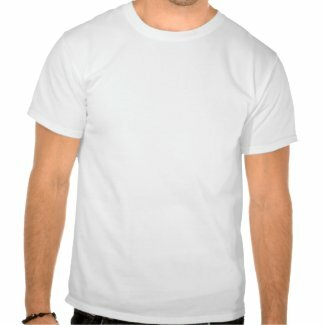 The day 3 table draw is now available at WSOP.com . Play resumes at 12pm Sunday afternoon/7am ET with the field playing down to the final 27. Follow the updates at PokerNews and WSOP.com. The third and deciding match of the 10,000 + 350 NL Holdem Heads-Up bracelet will take place at 6pm Sunday evening between Gus Hansen and Jim Collopy. There was discussion of holding the final match in Las Vegas November Nine weekend, but eventually it was worked out to finish it out in London. Action resumes Sunday at noon local time, follow the action at PokerNews and the PokerStars blog. I suppose the first big hubbub of the 2010 WSOP was Michael Mizrachi’s run in the $50k Mix. 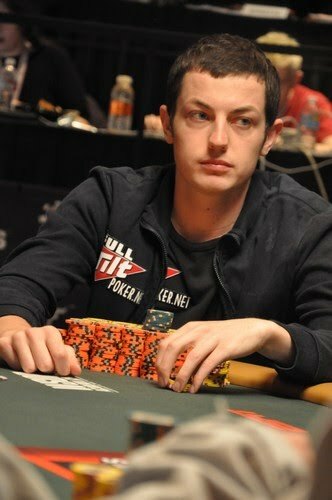 And the second, had to be Tom Dwan, who essentially did the equivalent of calling his shot when laying up to 3.5:1 odds on himself for a bracelet — resulting in 7 (or maybe 8 ) figures of high-stakes-gambler money on the line as he fought to take down donkament gold … not to mention the biggest payday of his 23-year-old life. For about half a day, he had a bunch of TV pros sweating turns and rivers unlike what they’ve grown used to on Poker After Dark. To bring you breathtaking excitement (and palpable tension) from the Amazon floor last night, I’m gonna skip ahead in the Tao of Pokerati storyline … and catch up with Pauly and Benjo, who were of course right there as Durrrr’s chip-stack had a collection of prop-bet gamblers re-evaluating their futures. While the final table of Event #11 was being set up, Benjo spotted a group of the Big Game regulars who bet against durrrr having a quick meeting. The T.O.P. crew speculate on a potential bracelet bet buy-out if durrrr continues to dominate the donkament. Moments after the big donkament ended and durrrr took second, Benjo and Pauly headed over to the rail of the $10k Stud-8 event to watch the reactions of pros who bet against durrrr winning a bracelet and dodged a massive bullet. Be sure to check out Pauly’s recap of Durrrr “calling his shot” (my metaphor, not his, obv) only to hit a long, barely foul ball and all the details available on his surrounding bracelet bets. Everyone in poker seems to really care about the French these days. It’s no secret I’ve been nosing around in Full Tilt’s business lately. They are the ones who, after all, practically built the poker world as we currently know it — and helped create an industry that so many of us rely on for food. But considering what these good people potentially face and how it could impact us all, I couldn’t help but start cashing in favors for information from some of the highest ranking, super-reliable people I know. Alas … still haven’t gotten the details I’m seeking about Howard Lederer and Phil Ivey’s meeting with Barack Obama in February — what did they say? what did he say? — but perhaps as a consolation prize, my source told me he had one piece of info that he/she could confirm with “100 percent” certainty. Oh, that’s it? I mean thanks. He’s not under investigation or anything, is he? Got a DWI maybe, or how ’bout an illicit rendezvous with Guy Laliberte and the Swedish women’s curling team … that would all be good for traffic. The mystery of who Isildur1 is may finally be revealed in a televised cash game in London next month. PokerNews, Tony G (who will stake Isildur1) and Matchroom Sport have each announced that the high-stakes online phenom will appear at the Les Ambassadeurs club in London for PartyPoker’s “Big Game IV”, a 48-hour cash game taped April 11-13th. Negotiations are still underway as to whether Isildur1 will wear a mask to continue hiding his identity or if he’ll choose to finally reveal himself to the public. Names already announced for the cash game include Phil Laak, Jennifer Tilly, Isaac Haxton, Luke “Full Flush” Schwartz, Neil Channing with several other players to be announced over the next few days. Previous “Big Game” broadcasts filmed by Matchroom Sport have been 25-50 NL holdem, with the possibility of the blinds increasing during the session. The final product will first air on Channel Five in the UK, and eventually appear on networks around the world. Will the Real Isildur1 Please Stand Up? Isildur has been outed — supposedly it really is Viktor Blom, insists Luke FullFlush Schwartz. That jibes with what Tony G had been saying months ago — but recently he has backed off attaching any name to the mysterious Swedish nosebleeder … and instead is trying to … er … “flush out” Isildur by buying him into the live poker world.